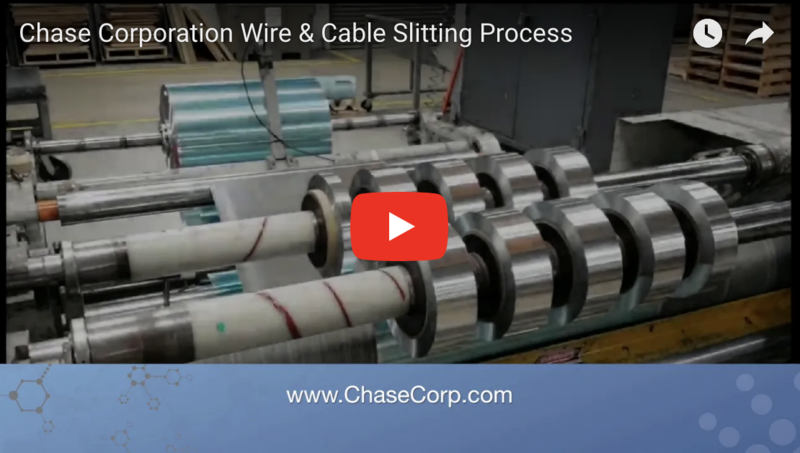 In this video, Philip Shows addresses common slitting questions: where does splicing take place during the process, how does Chase maintain good slit edge quality, and what are Chase’s slit width tolerances? Brought to you by Chase Corporation, a leading manufacturer of technical products for high reliability applications throughout the world. 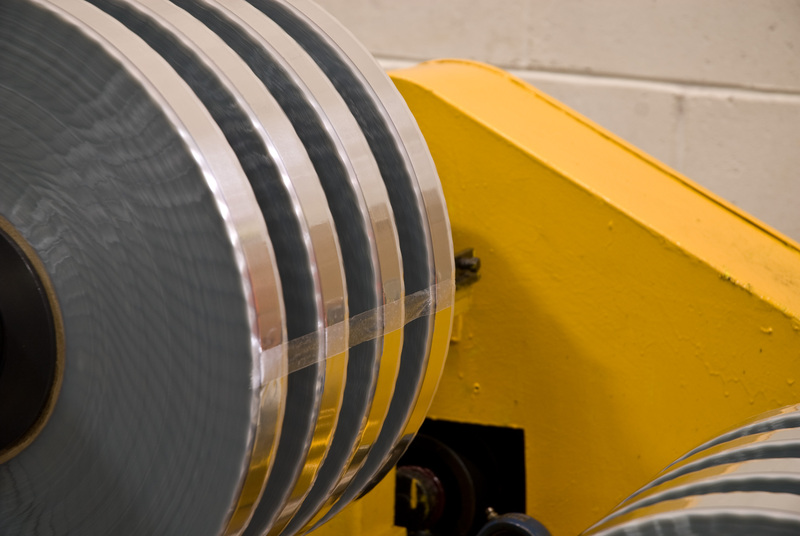 Before delving into the details of making wise coated tape decisions, let me first point out that some standard Chase products already have fusible coatings or films, making it far easier and faster for you to make a selection, receive the product, and get on with the business of manufacturing and selling. If there’s something we have on hand that suits your needs, all the better! Chase understands, though, that not every shoe fits every foot, and if it’s a development product you’re interested in – something whose end use is different, thus requiring a unique construction -- then, hey, you’re still in good hands with Chase. 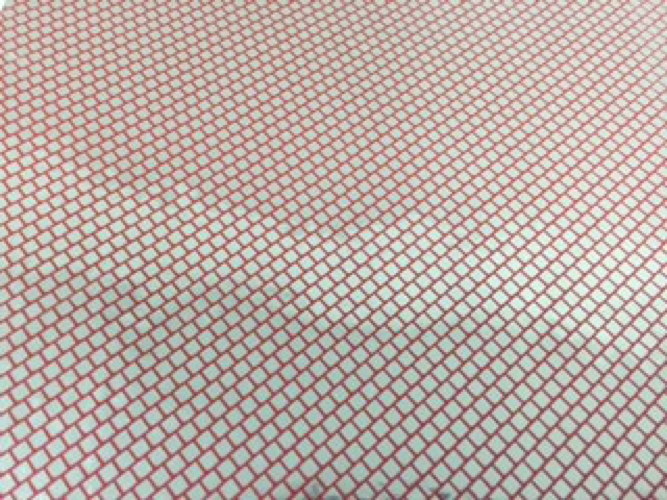 Can SLICKTAPE® solve your tape forming issues? Most cable manufacturers rely on forming tools to properly fold and align shielding tapes with the precision necessary to meet strict cable performance criteria. 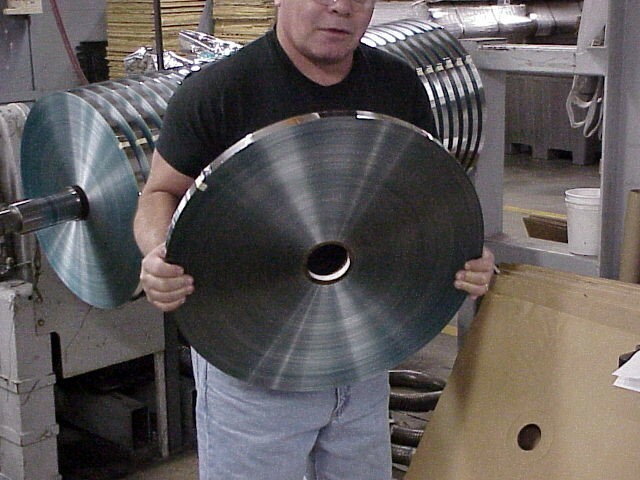 As you can imagine, running a foil tape across a metal forming tool creates friction that abrades both the tape and tooling itself. Any debris generated during the process, either from the tape or from its contact with the forming tool, eventually accumulates in the tooling causing unwanted cable defects and/or tape breaks due to space limitations. The typical practice in the wire and cable industry is to attempt to minimize this type of scuffing by directly lubricating either the tooling or the tape with oiling devices.